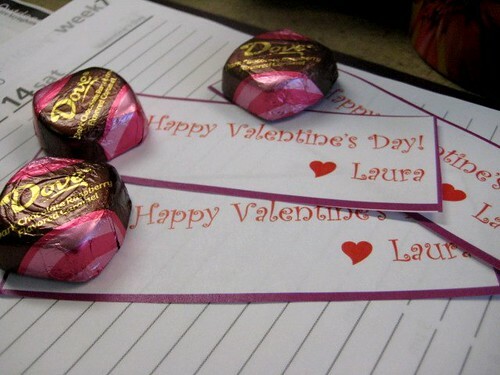 Strips of paper printed on the color printer, haphazardly cut with dull scissors and no sticky hearts. I did at least get the Doves on there! 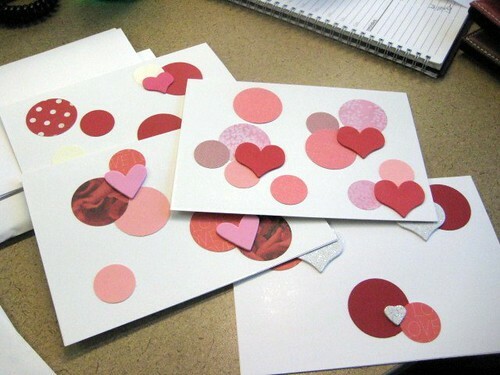 I was able to at least make some cards for my family members, again with the sticky foam hearts and circles cut out of stash cardstock with my 1" and 1.5" round punches. No fancy stamps, since it would appear that I have no hearts or anything even remotely similar. Maybe next year?